Built on iGaminclouds platform used by many new slot sites in 2017, Shadow Bet is using the same technical capabilities as Dunder, Rizk, Casinoland and others. Some of the newcomers mentioned here have quickly climbed the charts of casino players’ favorites. At first glance, the Shadow Bet has a recognizable interface, which in this case is yellow and black colors. The theme feels masculine and reminiscent of Gotham City and Batman. 540 free spins for only £10 is something that got our attention. Shadow Bet has an entirely different approach with their bonuses. They have a boss, most likely made up, called Jack Pot who came from the Shadows with this great welcome bonus. 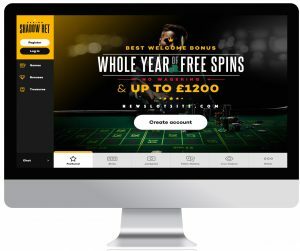 A whole year of free spins and on top of that a generous deposit bonus up to £1200, not bad right?! Want to know how to unlock the possibility to get your bonus? Make a deposit of minimum £10, and you will enter the Shadow Bet treasure hunt! Wagering is set to 35 times the money and thus implies a great opportunity in fielding a total of £100, play for £20 and get additional free spins. After 1st Deposit, the player gets daily 20 Free Spins for the following 10 days. For those who play smart and want maximum return for the money, this is an offer not to be missed. Risk-free bet is standard in the betting world. In response to that Shadow Bet has developed a campaign where they offer a risk-free game of blackjack and roulette. It is as simple as it sounds. Every Tuesday they offer all players who deposit at least £10, get £50 to play for. Lost the money they will pay back the next day. Free spins on Wednesdays has become a trend among new slot sites to celebrate with free spins. Shadow Bet are listening to its users, and therefore players who deposited at least twice during the week 10 get free spins on Starburst. The rules are super simple; free spins must be used between 3:00 pm and 5:00 pm – get it! Shadow Bet are listening to its users, and therefore players who deposited at least twice during the week 10 get free spins on Starburst. The rules are super simple; free spins must be used between 3:00 pm and 5:00 pm – get it! With Shadow Bet slot site you collect points every time you wager money in the casino. This means that every spin will take you closer to the next level where a new level means prices. And who doesn’t like prices? You have the chance to win new iPhone, free spins or luxury vacations with regards from Jack Pot of course. Players are divided into different ranks, where the first level you can climb to the called Playmate. 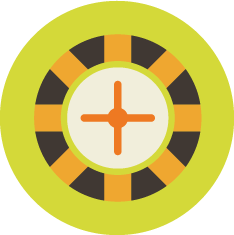 In addition to improved status on the casino level, you are rewarded with 5x on your own bonus game Shadow Treasures. How exactly slot works and what you can win is still unclear, no one has namely climbed to the highest level “Ninja” yet. As a ninja, you will at least have a good chance to win the highest on the shadow treasures. We hugely excited to know what is in the various categories. Maybe you can help us? The mysterious slot Shadow Treasures can not be played by default and is therefore not possible to find in any of the categories. For those who want variety when it comes to slots, there is a wide selection. Lots of options for blackjack and roulette, live casino from many different providers and more slots than you can spin in a full year. As if that were not enough, Shadow Bet even has a selection of jackpot slots that are hard to find in other casino sites. At the moment, there are over 126 million downloading in various jackpot slots. Do take the opportunity to try your luck at a bit unknown jackpot slots like King Cashalot, or Tunzamunni until you get the chance to test the greatest slots of them all: Shadow Treasure! Shadow Bet offers eight different payment methods that are entirely free of charge. According to Shadow Bet, their payments go fast as a race horse running and is safer than a Swiss bank. Can’t argue with that. Besides the usual payment solutions, Shadow Bet also offer Euteller and Przelwy24. You can use Visa, Neteller, Trustly, paysafecard, Skrill, ecoPayz and EuTeller to fund your games, and as Shadow Bet is licensed in both the UK and Malta, there are guarantees that your deposited funds will be protected. Indeed, one of the new casinos online that will go incredibly well. With a fresh design, witty language, good bonus, different bonuses, and campaigns, it is very likely that Shadow Bet will be a real success!